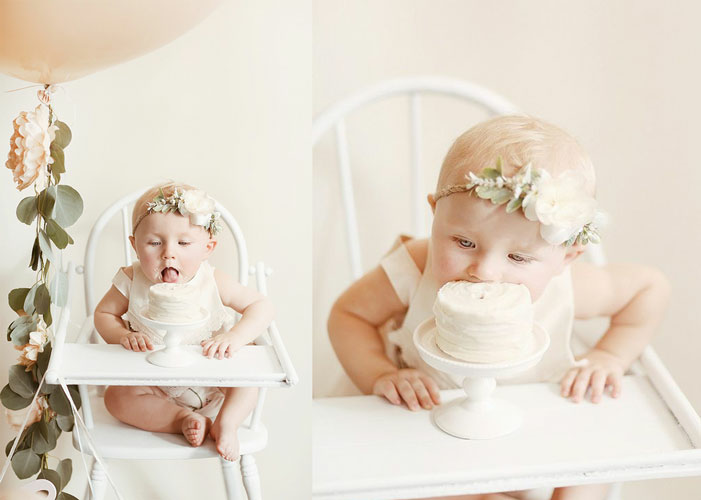 Getting the feels when your baby turns one...it's a thing. and it hit me so hard. i worked full time, at an office that took me an hour to get to, during Beya's first year. 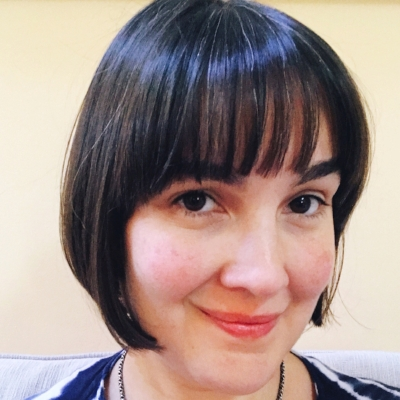 It was awful, and when she turned one I was totally racked with guilt that I had missed so much, and she was not "officially" a baby anymore. But one of my biggest regrets is that, as oft-photographed as she is, I never memorialized her with an "official" first birthday shoot. WHY NOT STAGE A "PARTY"? There is definitely a tendency to spend a lot of time on Pinterest and overwhelm yourself with options, but as long as you have good light in your home you don't need to go over the top and book a location. have a "fake" first birthday party in your kitchen! 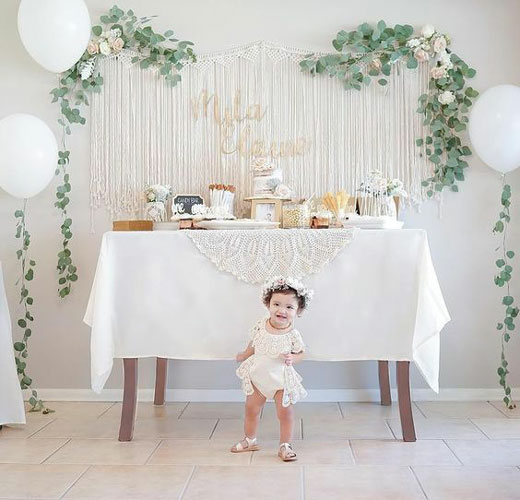 Kathleen aka Mrs. Galloway aka amazing photographer slash mother of three little ladies had the most adorable bohemian birthday party for her little mila's first. this backdrop is positively perfection, you can buy one of course, i can't pick a favorite but here's the gateway to a rabbit hole you may never escape from...or you can easily diy one like this. If there is a room in your home with a big window, you can totally fake a fancy photo studio with a few simple props. a window that gets diffused light (north-facing is best) creates the best and most balanced ambiance. Jem of this little house of mine takes her flowers very seriously, so naturally the backdrop of this portrait features fresh roses. This is really such an easy diy and can be done in just about any room in your home that has wall space and good light! Also how crazy adorable is that embroidered bonnet? So classic and sweet! My homegirl sweet as april is the bonnet queen but you have to be quick to snag her lovely goodies because they sell out in .002 seconds!!! Sometimes the simplest things are also the prettiest. 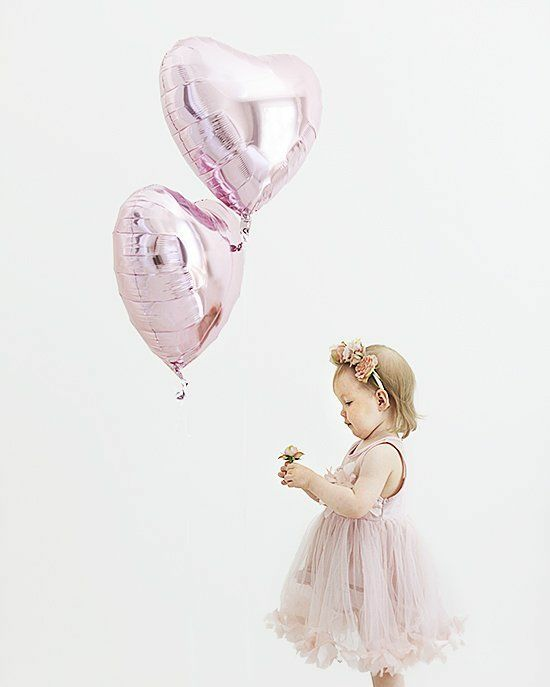 How awesome is this little blush pink set-up featuring mylar heart balloons?I am besotted with the photos of Finnish photographer mama iris and this little photoshoot of her daughter's (second) birthday is pure magic. The frothy tulle dress is just perfect, and you can find more like it here! One awesome thing about babies is that they don't really need much accessorizing to look gorgeous. and mother nature is the best backdrop anyway, no? 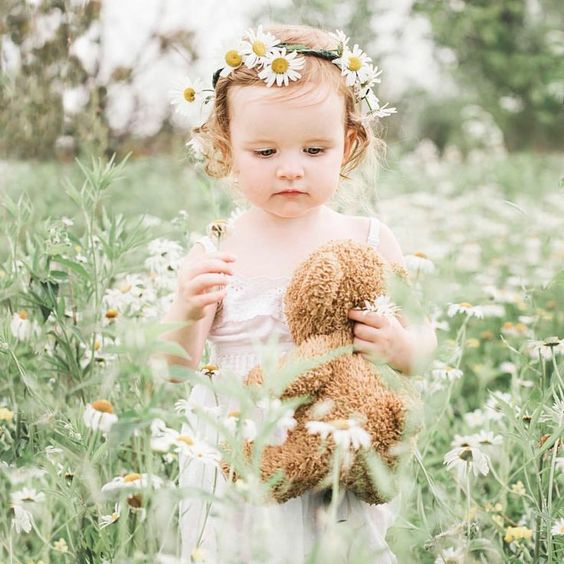 Make your girl a daisy crown like the amazing ChristinaFreeman of lily + hazel, grab a favorite stuffed animal, and hit your slacker neighbor's overgrown yard! ha! shoot on an overcast day, or very early in the morning to get this soft, glow-y look. Memorialize those chubby thighs forever and photograph that nekkid cutie in the privacy of your own backyard! 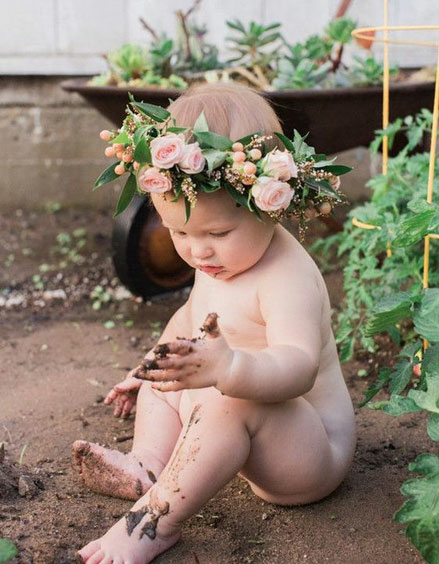 besides, playing in the dirt is actually healthy for your baby This image is from photographer chloe moore and was likely shot in the eeeeearly morning when the light is just beginning to turn golden. You have about .5 seconds to catch that moment so click fast! BUT I HAVEN'T A STITCH TO WEAR! 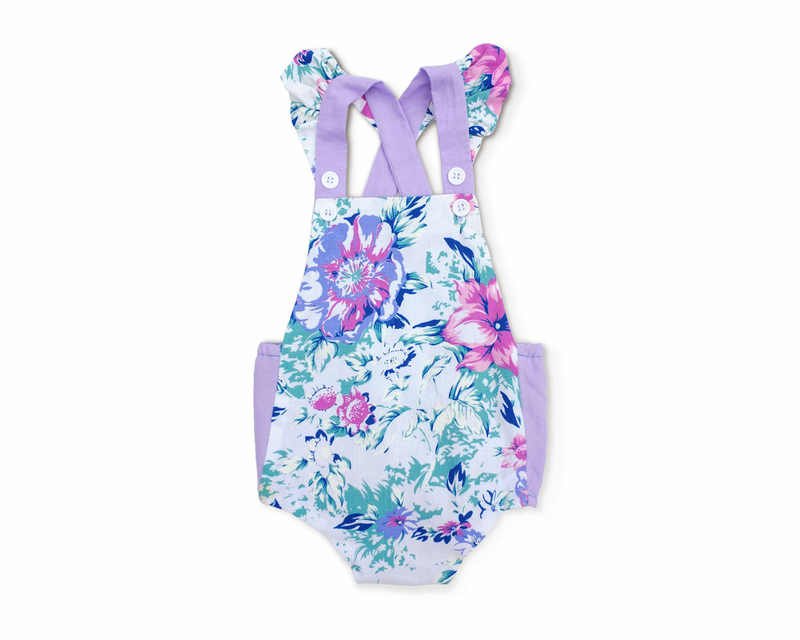 MORE CUTE 1ST BIRTHDAY OUTFITS! WANT MORE COOL STUFF LIKE THIS DELIVERED TO YOUR INBOX?